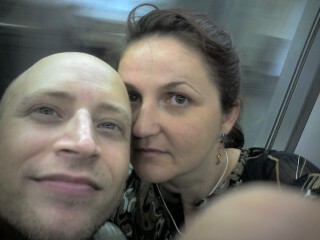 On train after the best dinner ever! Very full and a bit tipsy. The wine was matched with each course and fab! I just wanted to say that it looks like that you had a great time. HAPPY BIRTHDAY TO YOU. Well, sorry, I am 10min late. lol. Thanks Stuart. It was a lovely birthday.